Pewter lamb soft designer leather coat. 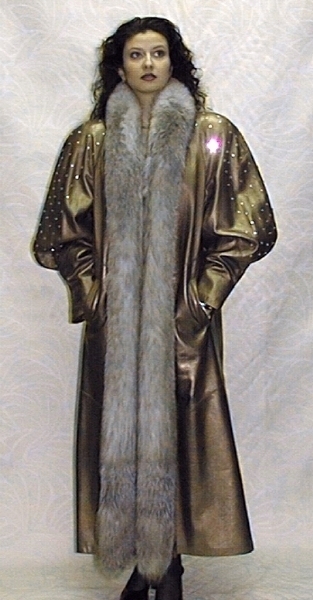 52" long, Swing body, with Indigo Fox Tuxedo and Rhinestones. Available in all sizes and specials. Also in 3/4 Lenght. and without Fox or Rhinestones.